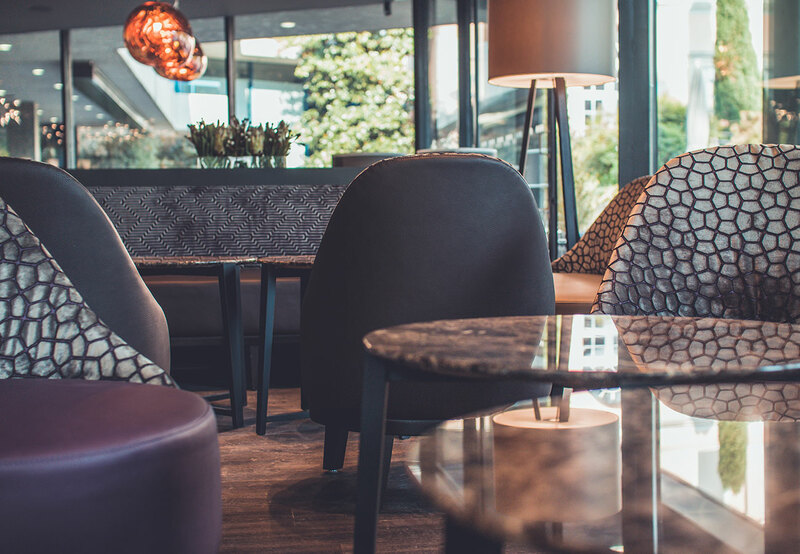 Fancy refreshments, aperos and breakfast at our lounge and cocktail bar: what more? 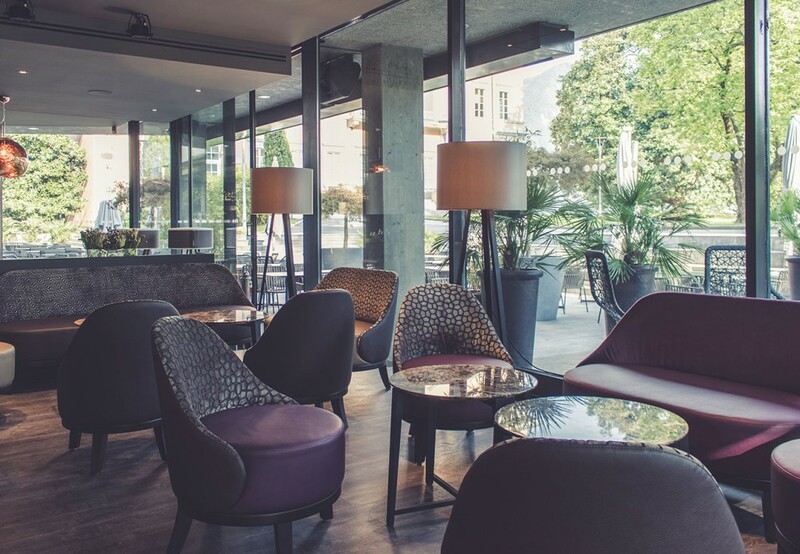 Come and enjoy a drink with the beautiful view of the park from our luxury lounge, cocktail bar and cafeteria in Lugano. 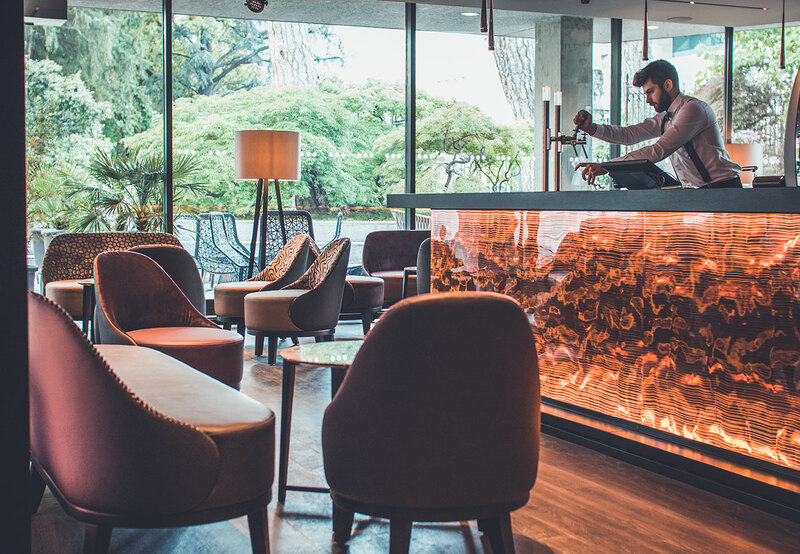 At Ciani Lugano, cocktail parties and breakfast are prepared with the very same care and attention we give to any lunch or dinner. As a result, we dedicated an elegant, finely furnished hall to combine the delight of a relaxing drink with a pleasure for the eyes. 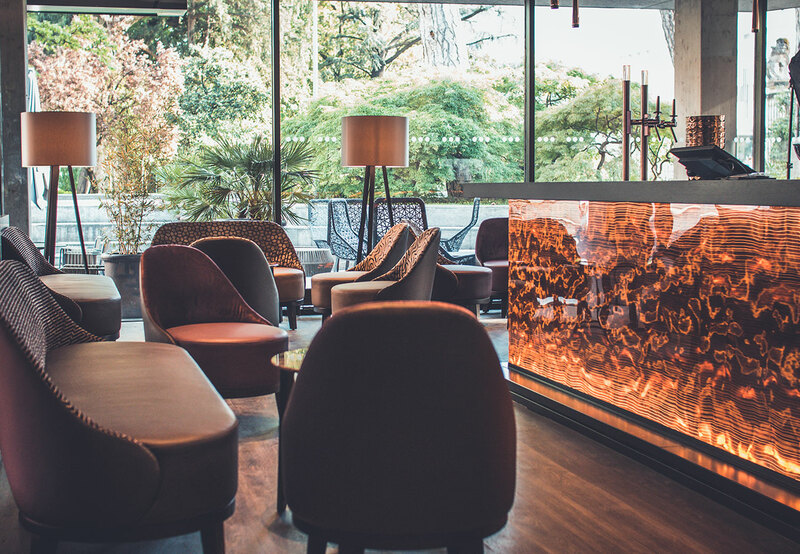 Our lounge bar in Lugano is a modern, elegant room from which you can relish in the magnificent sight of sun’s last rays reflecting on the lake while enjoying an original drink. 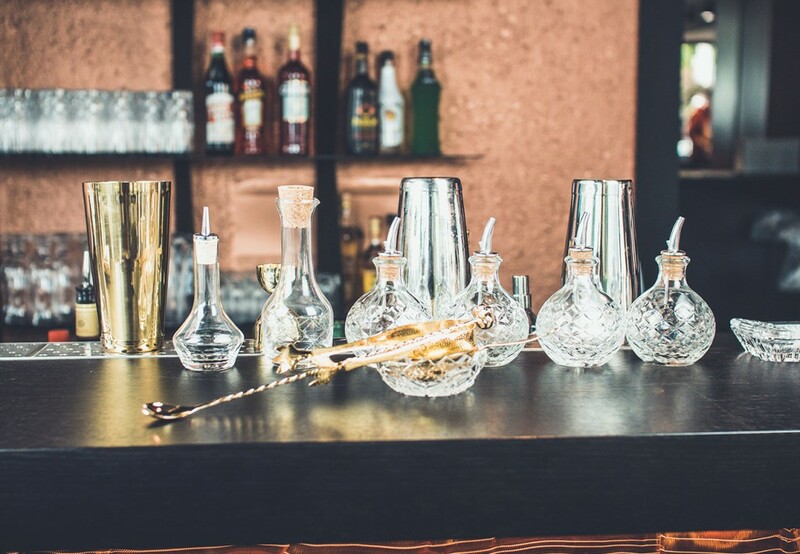 Our menu offers a remarkable selection of artisanal beers, classic international recipes as well as first-class mixology cocktails prepared by our expert bartenders. Our highly trained staff welcomes you to try the fruits of this new science. Mixology is, in fact, a discipline based on blending top-quality certified spirits and non-alcoholic ingredients to achieve perfect harmony. If you are more of an early bird who prefers to greet the new day with a nice, smoking cup of coffee in your hand, at our cafeteria you will find a wide choice of hot and soft drinks to be enjoyed with some of our seasonal cakes and pastries, always freshly baked by our patissiers. 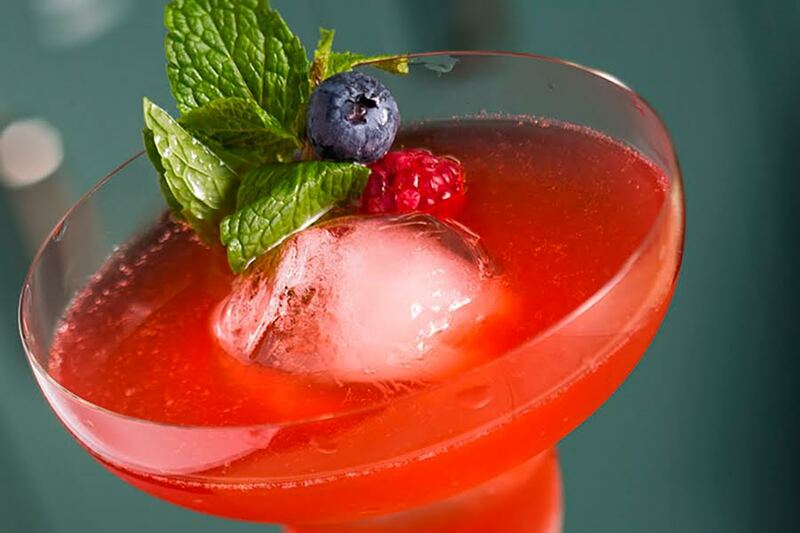 Mixology means making a masterpiece of a drink. 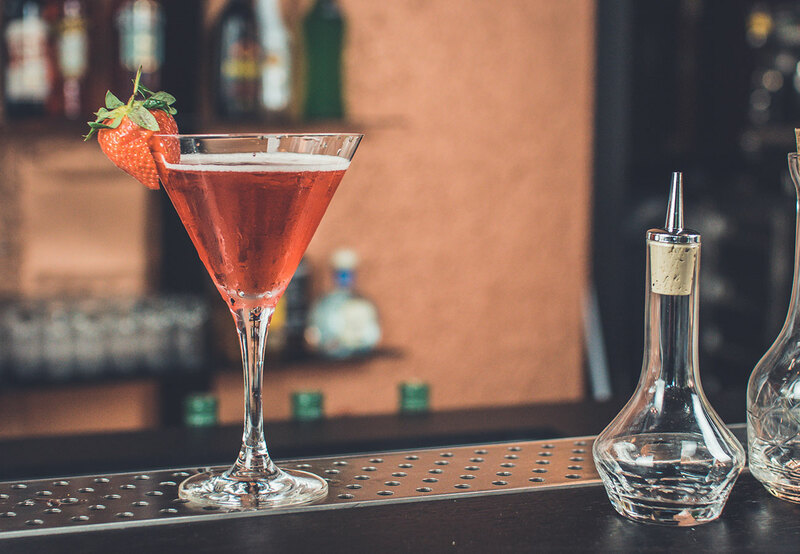 This is the vocation of a Mixologist, the bartender of our times, they’ll satisfy your curiosity with original and surprising combinations.